From 1871 to 1900, Abson's English Chop House was a favorite eating establishment for "bon vivants;" those who could afford living luxuriously, eating rich foods, imbibing good liquor, and attending expensive theater parties. The chop house was opened by Colonel William Abson at the end of a narrow alley mostly hidden from view surrounded by taller buildings at 125 La Salle Street formerly occupied by a horse barn. It was a cozy space measuring 19' x 19, and said to have been one of the few buildings to survive the "great fire." In later years, a variety of restaurants took its place including the Red Path Inn, Robinson's, Pickwick Cafe, and 22 East. During the 1970s, it came close to being razed, but the alley and the building still stand today (as of March 2013), and is being renovated into a coffee house. The Dimling Brothers Cafe was a German bar and restaurant which opened in 1902 in Pittsburgh, Pennsylvania at 24 Diamond Square. The Dimling Brothers, George Jr., Howard, and Elmer, whose family had been in the restaurant business since the 1870s, were granted the 8th liquor license by the Commonwealth of Pennsylvania. The family also ran a second location at a different address. The Dimlings remained in the restaurant business up until 1960. Notice the spelling of "Pittsburg" without the "H" on the mug. In 1890, a declaration by the United States Board on Geographic Names, removed the "H" in cities and towns that ended in "Burgh" in an attempt to simplify its spelling. "Pittsburgh" with the "H" was officially restored in 1911 after a public campaign by the citizens of the city to keep it as it was originally known. Dimling's Restaurant on Market Street Just off Forbes Avenue following a fire which consumed the building to the right of the restaurant (1940s). 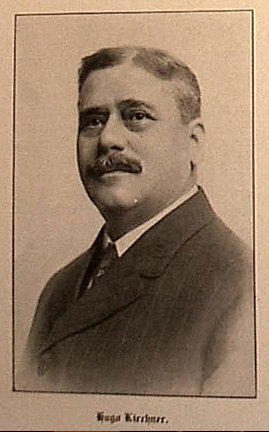 Hugo Kirchner settled in Buffalo, New York in 1886. He was born September 30, 1861 in "the old fabled imperial city of Worms," and arrived in the United States in 1884. He was employed at several "first class" hotels and for twelve years was the head of the culinary department at a country club in Buffalo. He settled in Buffalo in 1886 and in 1905, took over management of the German-American Cafe, which was located at the corner of Main and High Streets. Under Kirchner's management, the 300 seat cafe turned into one of the "best and most popular restaurants in the city." The Heidelberg Inn opened in or around 1907 at 35 Ellis Street in San Francisco, California under the management of Henry L. Hirsch, a well known saloon-keeper in the area who for many years operated the Pabst Cafe in San Jose, and who also managed the nearby Hof-Brau Restaurant at Market and 4th Streets. The Heidelberg is said to have been reminiscent of a true German rathskeller. From street level, the only indication of the Heidelberg, was a sign and stairs leading down to a basement. It was said to have been one of a very few real Bohemian restaurants in San Francisco and is believed to have closed around 1915. 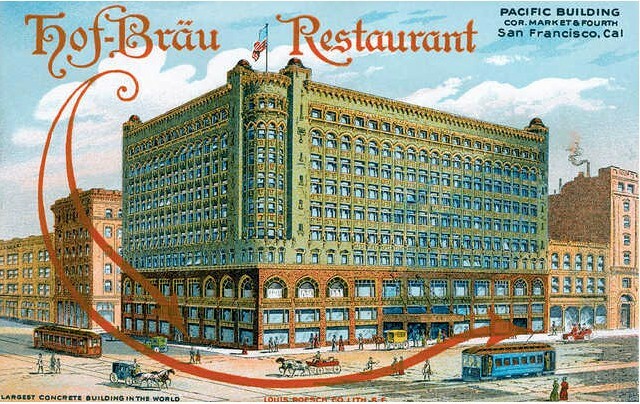 The Hof-Brau Restaurant grand opening was held on November 2, 1912 at the site of the old Bismarck Cafe located in the basement of the Pacific Building on Market Street just above Fourth. 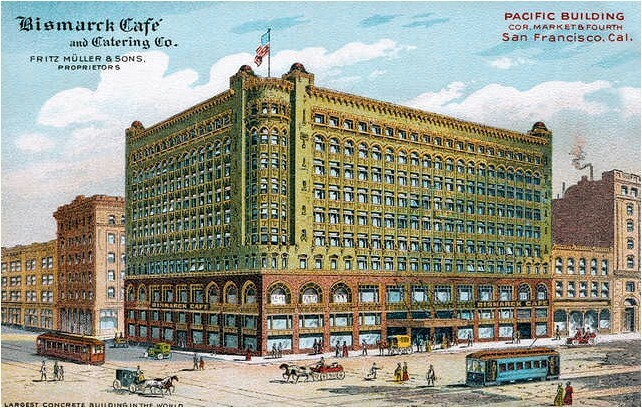 The ten-story Pacific was the largest building constructed in San Francisco (and said to be, at the time, the largest concrete building in the world) following the great earthquake and fire that swept the city in 1906. Fritz Müller & Sons opened the Bismarck Cafe on May 1, 1908, and held on to it until Henry L. Hirsch renovated the Bismarck into a reproduction of the famous Hofbrau-Haus in Munich. Although the Hof Brau was a German based restaurant, it was said to have attracted less "authentic" German patrons than the nearby Heidelberg because a larger number of its patrons were American. The specialty of the Hof-Brau was Abalones, which were cooked in several different ways. 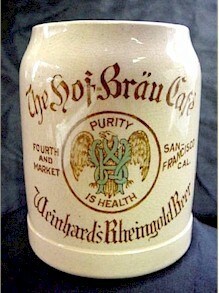 The Hof Brau also operated under contract with the Henry Weinhard Brewery, selling its beer exclusively. The contract was first signed by the Müller Brothers and the Bismarck Cafe. Under Hirsch cointrol, the Hof Brau continued as a "Weinhard establishment". The historic Old Absinthe House is located in the heart of the French Quarter at Bourbon Street and Bienville. It was originally built by Pedro Front and Francisco Juncadelia of Barcelona in 1806, to house their importing firm. For the next forty years, it operated as corner store, bartering in food, tobacco, and Spanish liquor. In 1815, the bottom floor was converted into a saloon known as "Alex's Coffee House." It was later renamed "The Absinthe Room" when Cayetano Ferrer created a drink called the "Absinthe House Frappe" in 1874. 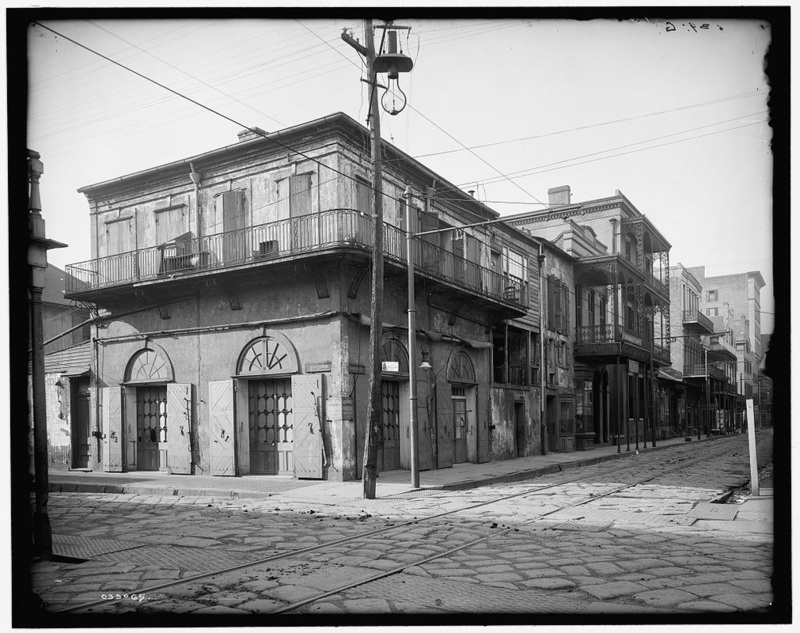 During Prohibition, its bar, which was to be destroyed, was removed under cover of darkness to a warehouse on Bourbon street in an attempt to save it. Years later it was returned to the Absinthe House where it remains today. Currently, the building houses Tony Moran's Restaurant. The front is called Jean Lafitte's Old Absinthe House. The words "Comus, Proteus, Rex, and Momus" refer to the four Mardi Gras “krewes,” which are marching or walking clubs. Costumed parades are the feature of the celebration of Mardi Gras. The meeting of Comus, Proteus, Rex, and Momus promptly at midnight on "Fat Tuesday," marks the end of the Mardi Gras festivities. The Old Absinthe House c. 1900-1910. William E. Mettler was born in Ohio in 1864 and grew up in the rural estate of his father where he helped out on the family farm. He later rented land from his father for a number of years and then "took up commercial lines in Chillicothe" where he was in business for approximately ten years (information found in A Standard History of Ross County Ohio, 1917). 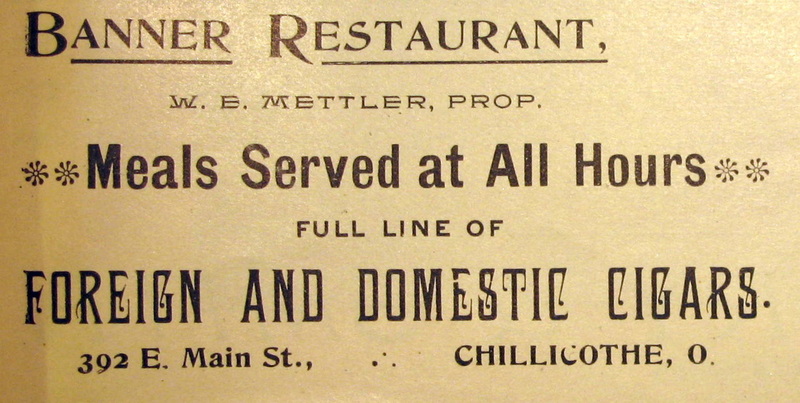 An ad which appeared in an 1899 Elks convention program reveals Mettler was the proprietor of the Banner Restaurant at 392 E. Main St. There is a "good for" token also known which states "GOOD FOR / 5¢ / W.E. METTLER / AT / BAR	." Another ad was found for the Banner Restaurant in the December 1922 Baltimore and Ohio Magazine. It does not state who the proprietor was at that time. In later years, Mettler moved to the Springfield Township where he devoted his time to general farming and stock raising. On August 5, 1940, the Van Wert Times-Bulletin reported that a 76 year old "William Mettler" was killed by a hit and run driver. The first dances at Brand's Hall were held in 1879. It had been nicknamed by some as "the Madhouse" or "the Panic" because "of the element it represents." The hall became a gathering place for dances, parties, meetings, and conventions. Brand's Hall is best known for providing the location where the Industrial Workers of the World (IWW), a national industrial union, was formed on June 27, 1905. An 1887 Chicago Directory lists its address as being 160 to 170 N Clark Street while the 1901 Social Crusader shows its address as being 262 N Clark Street on the southeast corner of Clark and Erie streets. By 1912, the Hall was renamed Roosevelt Hall. Brand's Hall 1883, lithography by Louis Glaser (1881-1915), German printer. Taken from The New Chicago Album. New York: Wittemann Bros. 1883. George Christian Kopp was born in Hamburg Germany on August 29, 1876 and arrived in Oak Park, Illinois in 1891. He first took employment at the A. Westphal Bottling Company in River Forest, Illinois and later worked as a bartender for a number of years before going into partnership with A.H. Rentz under the name Rentz & Kopp. A 1907 Souvenir Book from Melrose Park states that the business was located at Railroad Street and 19th Avenue. Although it does not call it the Edelweiss Buffet (no name given), it was said to be "a most popular buffet in connection with first class bowling alleys, billiard and pool room, and also a fine summer garden." A 1913 annual report from the Illinois Department of Factory Inspections lists George Kopp as operating a saloon (again, no name given) at 2, 19th Avenue in Melrose Park. George Kopp died following a heart attack on January 27, 1955. Saloon-keeper Charles Haas operated a restaurant and café called the Blue Island Exchange in Blue Island, Illinois. His saloon business was located near the corner of Vermont Street and Western Avenue (264 Western Avenue). 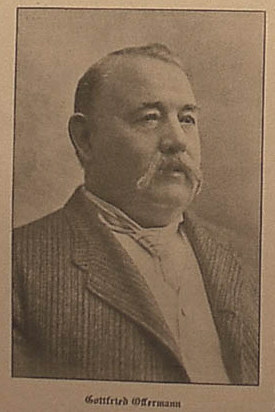 He was considered a pioneer restaurateur of Blue Island since first opening his saloon/restaurant in 1895. In 1916, Haas along with five other saloonkeepers, were indicted for conducting "baseball pools," with the offense being "keeping a common gambling house." It appears Haas once again was indicted for the same practice during the "Black Sox Scandal," which took place during Major League Baseball's 1919 World Series. The scandal involved eight Chicago White Sox players which were accused of intentionally loosing games to the Cincinnati Reds in exchange for money from gamblers. Although the players were acquitted in court, they were all banned for life from organized baseball. Haas was conducting the Blue Island Baseball Pool at the time. Haas and two other pool operators were indicted for "fleecing" unsuspecting citizens of Chicago out of hundreds of thousands of dollars weekly during the season. The outcome of the decision against Haas is uncertain (I welcome any additional information if anyone has any available). What is known is that the Eighteenth Amendment adopting Prohibition was ratified in Illinois on January 14, 1919, which likely led to the end of Haas as a saloonkeeper. Haas died on June 6, 1928 at 70 years of age of heart disease at the municipal hospital in Munich. 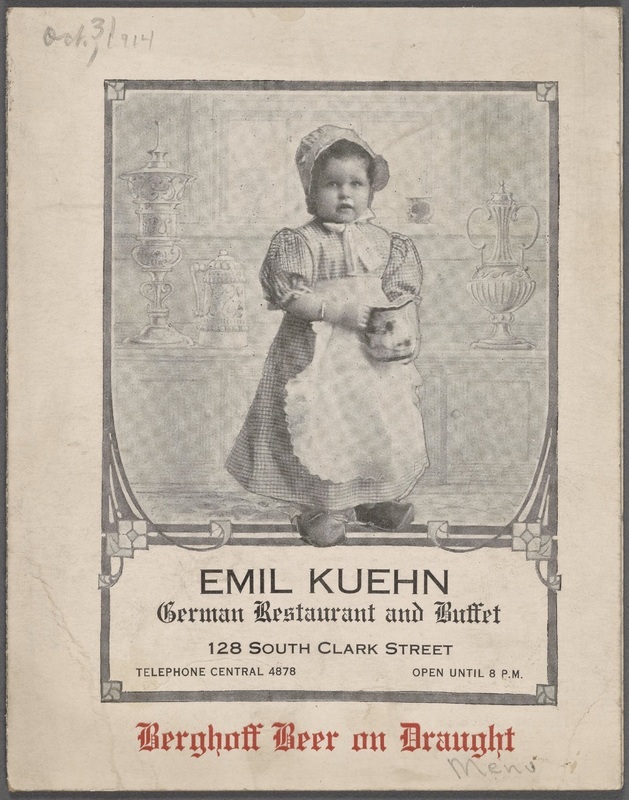 Emil Kuehn operated a German Restaurant in Chicago, Illinois during the early 1900s. There are two known addresses for his restaurant. The October 22, 1906 Proceedings of the City Council, Chicago, Illinois, lists Kuehn's address as 255 Dearborn Street, the same as what is on the stein. At some point in time thereafter, the restaurant was relocated to 128 South Clark Street. Very little information beyond this is available online about Kuehn or his restaurant. There is a death record from Chicago listing an Emil Kuehn as being born on May 11, 1870. He died on October 01, 1964 at the age of 94. Another record reveals there are no known marriages or children on file for Kuehn. His last residence is listed as being Chicago, Illinois in Cook County. It is believed this is the same Emil Kuehn who owned the restaurant, but it is not verified at this time. If anybody has more information to offer, please feel free to contact me. In or around 1903, German born Gottfried Offermann opened a bistro and delicatessen in Buffalo, New York at 502-506 Main Street. He was born on April 12, 1846 in Cologne on the Rhine. He landed in New York during the summer of 1862 at the height of the Civil War and quickly volunteered to fight alongside the Union Army. He was honorably discharged in 1865 following the end of the war and later entered the butchering and cattle business prior to opening his delicatessen. Along with "fine quality" food items, Offermann's was listed as an importer of wines. The business is believed to have closed by 1917. The saying on the mug is part of a German folk song, Zwischa Schtuagert ond Cannstatt. It transaltes to; "If it's raining Bavarian beer and bratwurst snowing then let us ask God that the weather remains". No information could be found on the Hight Cafe. & McTague in Omaha, Nebraska. In August 1897, he relocated to St. Louis where he secured a space in another basement located in the Century Building at 9th and Olive. He named his restaurant and café McTague's. Up until the time, basement restaurants in St. Louis were considered impossible, but he succeeded. In 1902, McTague became the secretary and treasurer and general manager of the St. Louis Catering Company--a trust formed in 1902 through the consolidation of five restaurants--Faust's, McTague's, Nagel's, and Caesar's new American restaurants. (Vol. 23, 1902, Meyer Brothers Druggist and the June 12, 1902, St. Louis Republic). The purpose of the consolidation was to run the company as a general catering business at a "high class" scale. McTague's was considered as much of a part of St. Louis night life as Tony Faust's restaurant was. However, signs of discontent between McTague and others in the St. Louis Catering Company, began to emerge a few months after its formation, and by May 1904, McTague relinquished his position and sought to buy back his restaurant from the trust. 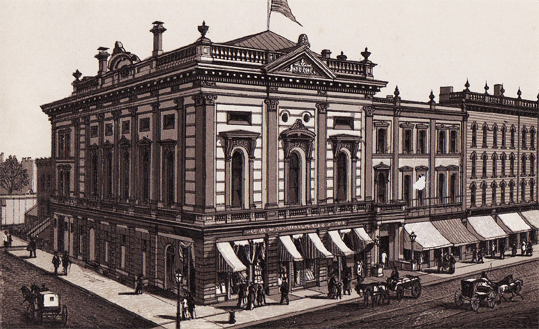 At a later date, McTague became president of the Maryland Hotel Company based in St. Louis at 9th and Pine Streets. By 1918, his restaurant closed because of "unfavorable conditions for restaurant catering." McTague passed away in July 2, 1926. No information could be found doing an internet search on The Star Cafe operated by Collins & Koch of St. Marys, Ohio during the early 1900s, other than an encased maverick 1904 Indian head penny token found below. 1904 encased Indian Head penny advertising Collins & Koch Star Café. 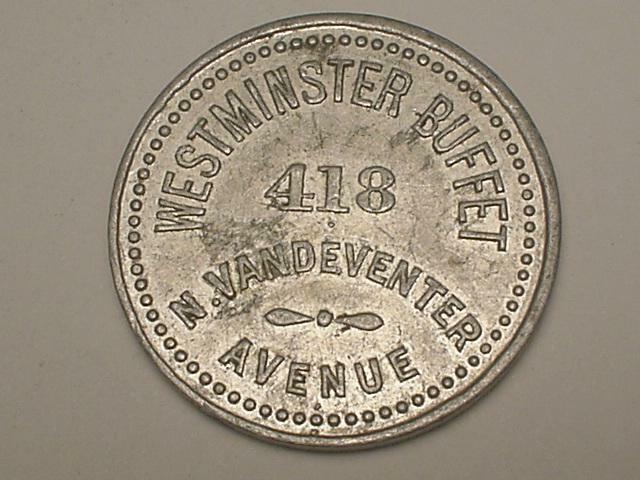 The Westminster Buffet operated in St. Louis, Missouri at 418 N Vandeventer Avenue as a saloon and restaurant. It's years of operation are unknown. Very little other information beyond the discovery of the token below, could be found on the buffet, and search results came up empty on T. Bettendorf.